Which Kinds or Colors of Clothing Do Mosquitoes Not Like? Colors and kinds of clothing can act as a natural mosquito repellent. Spending time outdoors in the summer can be dangerous when mosquitoes threaten. 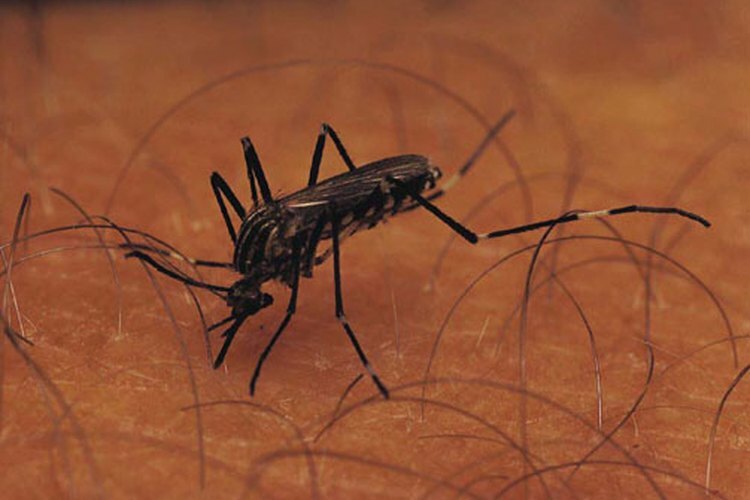 Some mosquitoes carry diseases such as dengue and malaria and can actually kill you. There are some colors and kinds of clothing you can wear to make yourself less attractive to mosquitoes. These are believed to deter annoying insects. White clothing is known to repel just about all insects including mosquitoes. According to The New Jersey Agricultural Experiment Station at Rutgers University, dark colors will attract mosquitoes. Dark colors trap carbon dioxide from the body, which mosquitoes love. Wearing a white shirt does not always stop a bite, but it certainly may help. Dark colors such as navy blue and black attract mosquitoes while vibrant colored clothing such as pastels and cream colored shirts may make mosquitoes go away. This is similar to the repulsion of bees. According to Janice D. Green of queenbee.com, light, but not bright colors, repel mosquitoes and bees. Bluish-green clothing is also reputed to deter mosquitoes. The color "haint blue" is often painted on porches and houses in the south. According to Howard Garret of "Natural Organic Gardening and Living", haint blue does not necessarily repel insects, but in South Carolina Low Country folklore, it is believed that the color is an effective deterrent for mosquitoes, as well as evil spirits. Insects are attracted to ultraviolet and blue light, including black and florescent. Pest Cemetery.com maintains that yellow lights or the color yellow actually prevents mosquitoes from biting you. Yellow is a color mosquitoes can hardly see and when they do see the color it confuses them. Consequently yellow clothing may be a wise choice to prevent an evening out from turning itchy.